Her dress doesn’t show as much skin compared to Kouhaku (hehehe) but still very pretty and cute! 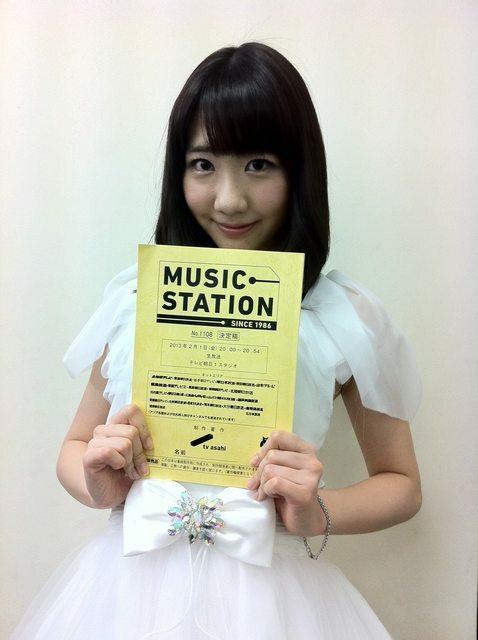 There was a lot of Yukirin throughout the whole Music Station! Yukirin got a cute set for singing. I thought Yukirin was slightly nervous on MS compared to Kouhaku but she sounded great still. Shortcake is a great song for Yukirin! Osawa-san g+ a picture too! As a Yukirin fan, today was a great day! Next will be Mielino Kashiwagi!